Arizona Department of Transportation sent this bulletin at 01/16/2019 09:53 AM MST. If you would like alerts on this and other ADOT news, sign up above to receive our GovDelivery notices. SR 89 will be closed in both directions from State Route 89A to Deep Well Ranch Road from 10 a.m. to 5 p.m. today. Detour: Drivers can use Deep Well Ranch Road to access north- and southbound SR 89. 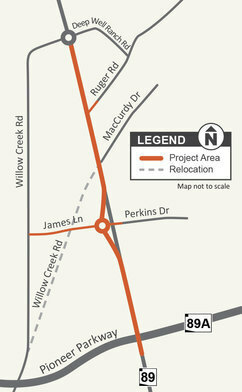 All truck traffic will be diverted to Willow Creek Road. Drivers should obey traffic control devices and use caution around construction personnel and equipment.